The Jews who pioneered the wide-open spaces of America were not just the stereotypical peddlers and bankers. Gold prospectors, cowboys, lawmen, ranchers, and entertainers, this hardy lot went west on horseback and by covered wagon; some took the long, roundabout southern route by ship, braving the treacherous waters of Cape Horn or crossing the Isthmus of Panama, where they fell prey to malaria and hostile tribes before sailing back up the Pacific coast. Just where and when was the Wild West? After U.S. president Thomas Jefferson completed the Louisiana Purchase in 1803, adding the vast territories of the former French colony to the sixteen United States, he commissioned his secretary, Meriwether Lewis, to explore the unknown areas west of the Mississippi River. In 1804, Lewis and draftsman William Clark set out from St. Louis, Missouri – then the U.S.’s westernmost big city (pop. 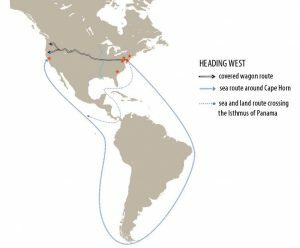 1,200) – at the head of an expedition seeking a practical route to the Pacific Ocean. Beyond St. Louis lay the vast prairies, mountains, and rivers that Lewis and Clark’s mission would map and document – the Wild West. 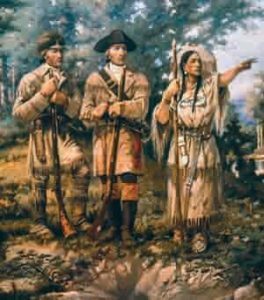 This term came to designate not just the constantly expanding western frontier, but an era in which – after Lewis and Clark’s return in 1806 – the U.S. government aggressively encouraged the settling of these territories by gifting parcels of land to anyone willing to improve them. 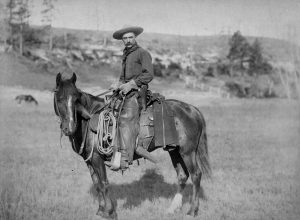 The Wild West lasted until 1912, when Arizona became the last west-of-the-Mississippi state to join the Union and life “out west” calmed down. 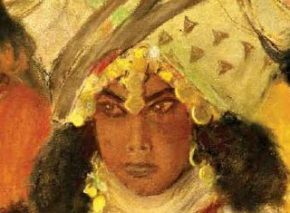 Jewish tradesmen were crucial to western expansion, as their businesses were often the catalyst that turned a remote crossroads with little more than a bar and stable into a thriving town. 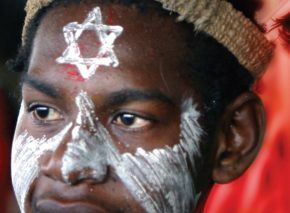 “So successful were the Jewish pioneers that by 1900, there wasn’t a single settlement west of the Mississippi of any significance which had not had a Jewish mayor. 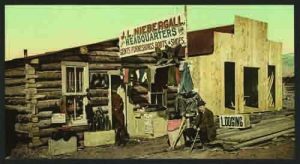 This includes Deadwood, Dodge City, and Tombstone,” affirmed historian Kenneth Libo, coauthor of We Lived There Too, an illustrated collection of first-person accounts by Jewish pioneers. In 1848, the first synagogue west of the Mississippi was established in St. Louis. Less than half a mile from the huge river, the United Hebrew Congregation wasn’t very far west. The 1848 California Gold Rush kick-started towns such as Sacramento, Stockton, and San Francisco, however – where the West’s next four synagogues were founded between 1852 and 1854. One community builder on the west coast was colorful Leon Dyer. 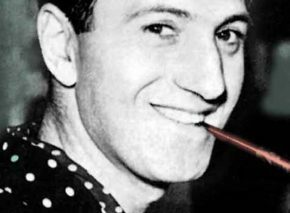 Born in Germany, he immigrated with his parents to Baltimore. Dyer was self-educated and worked in his father’s butcher shop, which he expanded into a beef-packing business (the first such concern in America, and kosher no doubt). When bread riots broke out in 1834, the mayor was out of town, so Dyer took command and soon restored order. 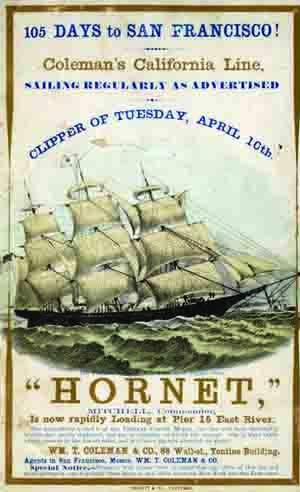 Later, visiting New Orleans on business, he was appointed quartermaster-general of the Louisiana State Militia. After the massacre of Texan settlers by the Mexican army at the Alamo, he led reinforcements from New Orleans to fight for Texas’ independence. Becoming a major in the Texas forces, Dyer was instrumental in clearing bands of plundering Mexican troops from West Texas. He even escorted captured Mexican general Santa Anna to Washington. 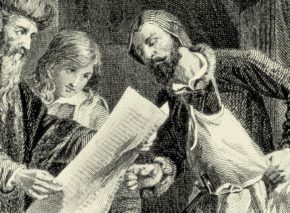 The Dyers still treasure the letter of appreciation sent by the general to their famous ancestor. In 1848, Colonel Dyer crossed the mountains and plains to California, where in 1849–50 he helped organize the first High Holy Day services in San Francisco’s Kearny Street Congregation. 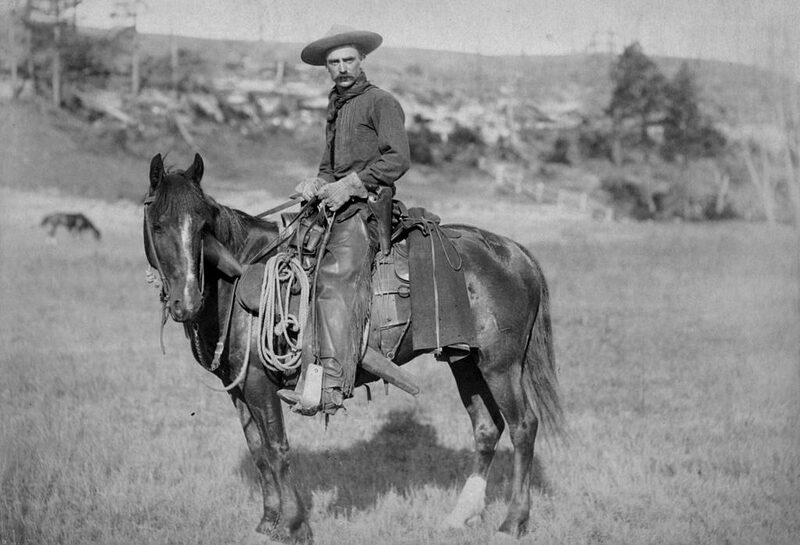 Though relatively few, Jews played an important role in taming the Wild West. My mother’s uncle, German Jewish immigrant Charles Ilfeld, arrived in Taos, New Mexico, with five dollars in his pocket. 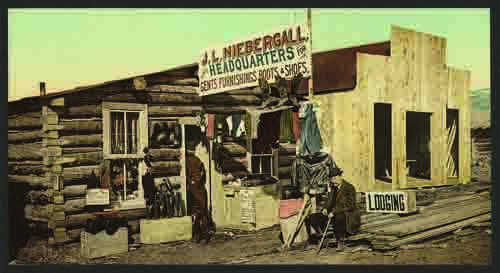 He opened a small trading post and ran mule teams carrying goods across the Sangre de Cristo Mountains to Las Vegas, New Mexico. His operation grew into one of the largest in the state. Not far away, Albuquerque’s first mayor, elected in 1885, was a Prussian named Henry Jaffa, who also served as president of the town’s Jewish community, Congregation Albert. 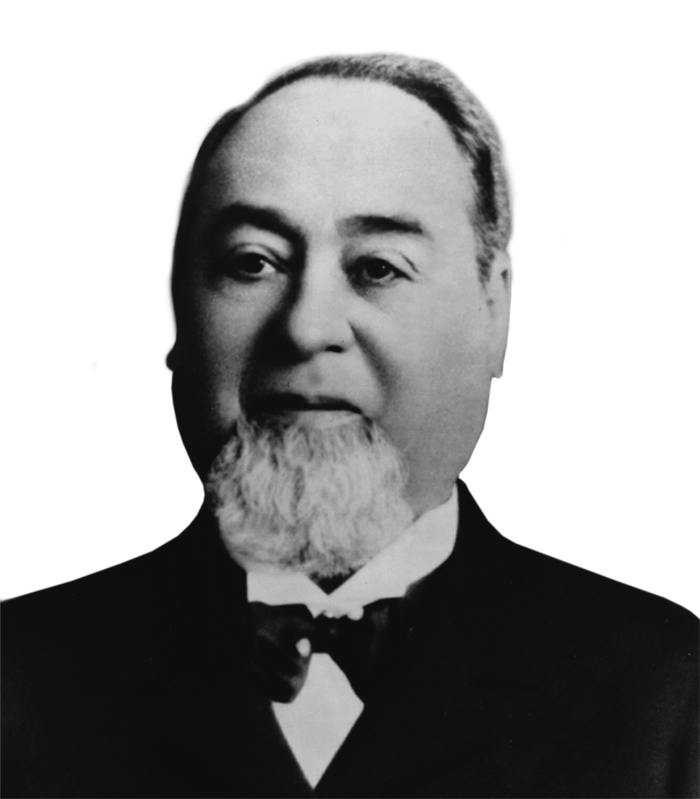 Most famous is Levi Strauss, a German Jew who started a dry goods business in San Francisco in 1853. He made tents for gold prospectors but struck gold himself with the riveted denim pants that still bear his name. These Jewish pioneers were as involved in community and state building as in their careers – and it showed. Wherever Jews went, cities grew and synagogues were built. 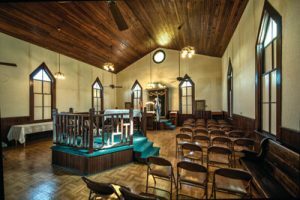 Only ten pre-1912 synagogues still stand west of Louisiana and the Mississippi. Seven remain in use. All may be viewed inside and out at www.Synagogues360.org, where together they constitute the last visible remains of the Jewish Wild West. The most senior of this distinguished club is actually in Canada. While not generally considered part of the Wild West, Pacific Canada is west, was wild, and had its own gold rush. 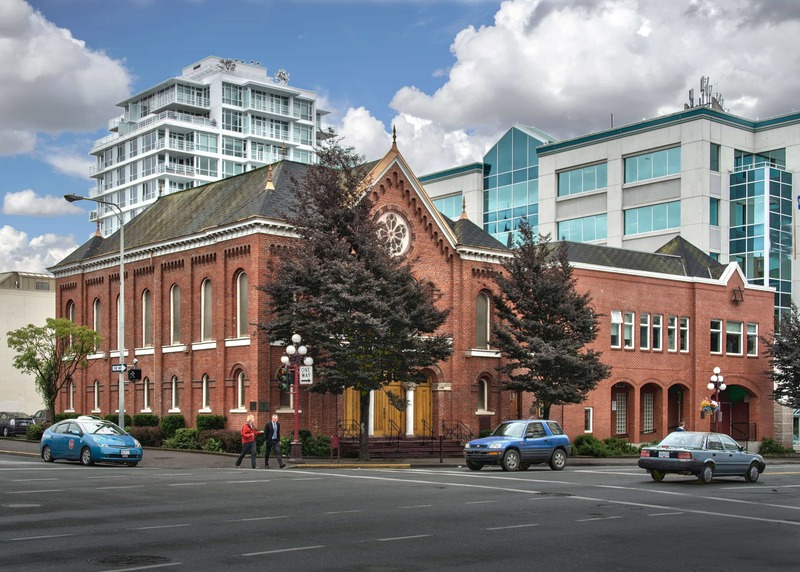 It also boasts the oldest continuously active synagogue in North America: Congregation Emanuel of Victoria, British Columbia, dedicated in 1863. Prominent congregants have included Canada’s first Jewish mayor, Lumley Franklin, elected in 1866; Henry Nathan, the first Jewish member of the Canadian Parliament, who took office in 1871, just four years after the country won independence within the British Empire; and Canada’s first Jewish judge, Samuel D. Schultz, appointed in 1913. Over half the funding for the Victoria synagogue’s construction was donated by non-Jews, a measure of the esteem in which the small Jewish community was held. Architect John Wright produced “a small but highly successful little brick building in the perhaps inappropriate Romanesque Revival style of an early Christian basilica church” (Martin Segger and Douglas Franklin, Victoria: A Primer for Regional History in Architecture , p. 227). 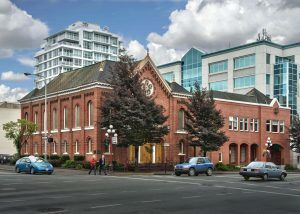 The red brick building is still in active use by the Jewish community in Victoria. Most Wild West synagogues were either carpenter-Gothic wooden structures or Victorian red-brick ones. 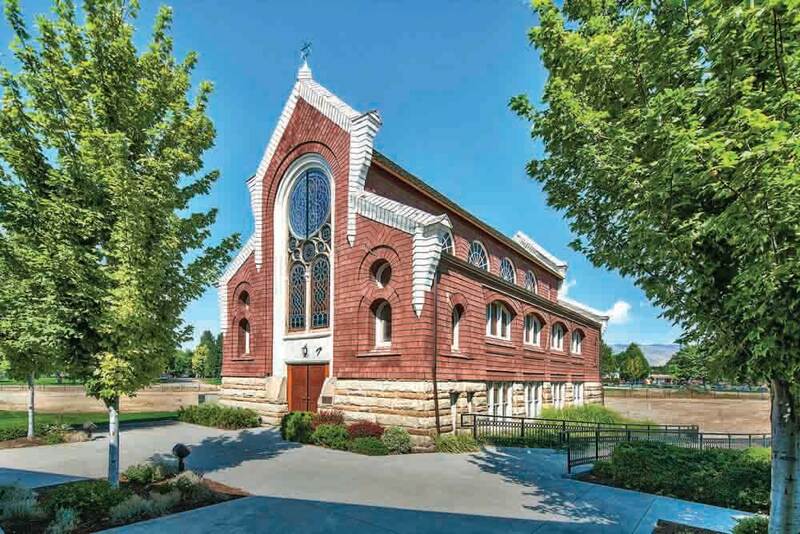 A notable exception is the Rundbogenstil-style Ahavath Beth Israel of Boise, Idaho, completed in 1896. Rundbogenstil (literally, “round arch style”), a German architectural movement, was appropriate for this congregation, whose founders were primarily from Germany and central Europe. (They came by way of the Oregon Trail, following the 1864 discovery of gold.) Accentuated “eyebrows” over neo-Gothic arches and exaggerated eaves overhanging simple façades characterize this aesthetic, which figures in numerous synagogues but particularly in this one. This year Ahavath Beth Israel celebrates 120 years of continuous operation. Ahavath Beth Israel, built in 1896 in Boise, Idaho, is the oldest synagogue in continuous use west of the Mississippi. Though the community outgrew the building in 1998, it was decided to move the entire Rundbogenstil-style structure to a larger campus rather than abandon it. What looks like brickwork is actually wooden shingles! German-born Nathan Appel, Arizona’s first known Jewish settler, followed the Santa Fe Trail to the territory’s new capital, Tucson, in 1856. He fathered ten children but still found time to serve as sheriff, saloon owner, and wagon train leader. He divorced and moved to Los Angeles in 1887. By 1886, a Hebrew Ladies’ Benevolent Society had formed in Tucson, but only in 1910, two years before statehood, was Arizona’s first synagogue built there. Temple Emanu-El uniquely combines outsized Rundbogenstil features with a southwestern, Spanish flair. University of Arizona historian R. Brooks Jeffery describes its “eclectic blend of stylistic elements, including the symmetrical façade and triangular pediments of the Neoclassical, the squat towers and arched openings of the Romanesque, and the pointed domes common in Moorish architecture” (“Arizona’s First Synagogue: A Story of Birth and Renewal at the Stone Avenue Temple,” Heritage Matters, December 2003). 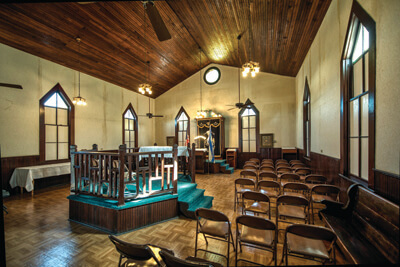 Today the building functions as the Jewish Heritage Center of the Southwest, reflecting the growth and relocation of Temple Emanu-El’s congregation. 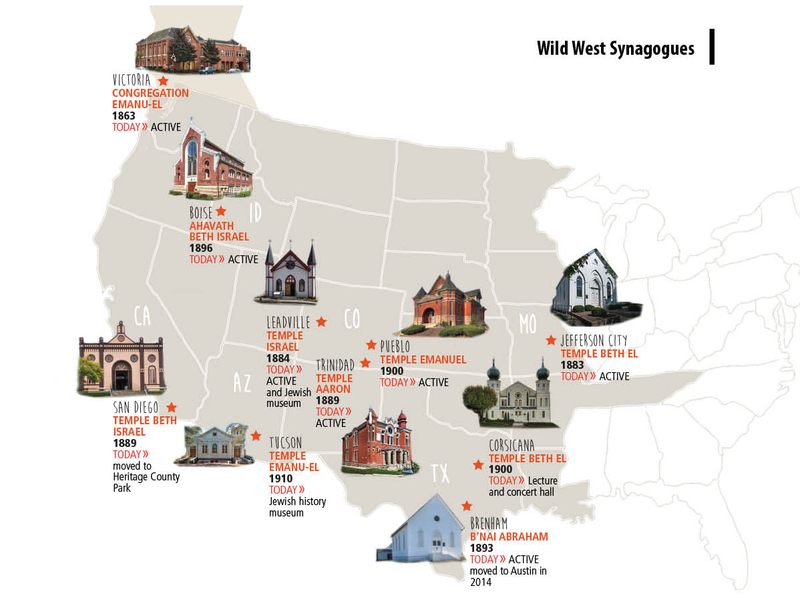 Visiting the Wild West’s remaining synagogues, you may not find rabbis wearing wooly chaps or gold prospectors wrapped in tefillin. But you will find warm welcomes and a fascinating history.